Sorry, this item is currently ‘out of stock’ because it’s on Lego Ideas. This are the building instructions for the Lego Technic Agrifac Condor I made. The building instructions has some flaws, link parts being placed in mid air and sometimes you need to remove some parts before placing the part. But I think it’s possible if you look closely to the pictures. The instructions consists of almost 800 pages and the model has a little bit less than 2200 pieces. And of course, you need pneumatic tubing. If you a question about the building instruction or something else, you can leave your question at the form on the ‘about’ page. De onderdelen heb ik besteld op BrickLink. Dit is een soort van Marktplaats voor LEGO en je koopt dit dan ook bij allemaal verschillende verkopers. Het is best veel werk om alle stukjes in een ‘wanted List’ te zetten zodat je deze kunt bestellen (en het is ook een dure grap om alle stukjes te kopen). Wel heb ik al een ‘wanted list’ gemaakt en deze staat inmiddels in de beschrijving van het product. Het is mogelijk dat er een paar foutjes in zitten (bijvoorbeeld meer stukjes dan nodig) en de slangetjes voor de pneumatiek zitten er ook niet bij (de motoren en afstandsbedieningen wel). De ‘wanted list’ kunt u hier uploaden. 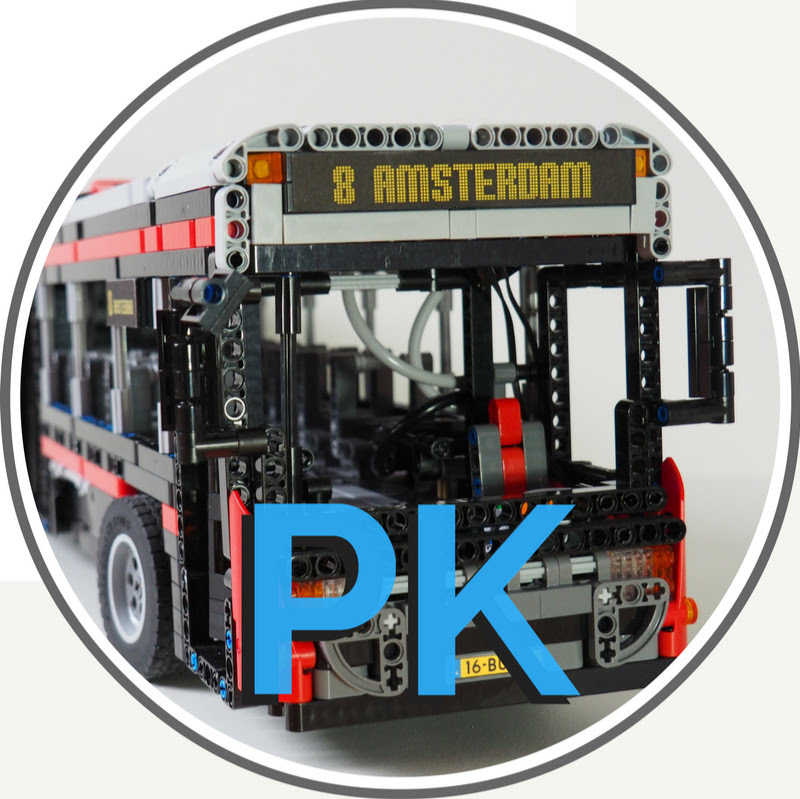 U heeft wel eerst een account op BrickLink nodig om de stukjes toe te kunnen voegen. Daarna kunt u naar uw ‘wanted list’ gaan, deze bekijken en daarnaast ook kopen. Als u meer vragen heeft over de bouwbeschrijving en de stukjes, kunt u deze gerust stellen. I have bought this instructions because I wanted to see how to build this sprayer. Unfortunatelly, these instructions are almost impossible to follow, due to major problem with submodels. For example, it takes almost 90 pages to add a differential, which magically appears inside solid built frame. This instruction probably was made by using Lego Digital Designer, which produces this kind of instructions. The instructions itself lacks a part lists for each step, there are many steps with parts just levitating in air, or assembled in incorrect order. I can’t recommend this instructions for anyone. I’m sorry that you don’t like this instruction. And I agree with the incorrect placements of some parts. As you already said, I made this with LEGO Digital Designer and that is causing the problem. I tried to make it as clear as possible by making a screenshot of every step with a clear image. It was a big struggle to make this. Maybe you can suggest a better programm because I did not find it? But as you can read in the product description, I already mentioned this problem.. and therefore I didn’t make the price to high. Hope this will clarify it. Have a nice day and happy building!